Adoniram and Ann Judson were American missionaries who sacrificed enormously to bring the gospel to the people of Burma. 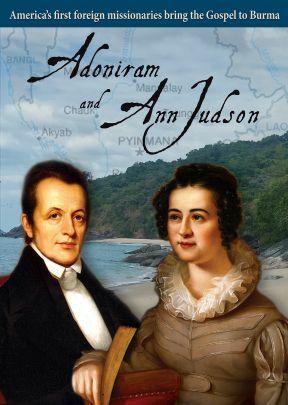 As the first missionaries sent abroad from the United States, Adoniram and Ann served in Burma (present day Myanmar) for decades. Suffering resistance, persecution, imprisonment, personal loss, and ill health, Adoniram and Ann’s faithfulness led to the establishment of a church that continues to flourish in the 21st century. Today Myanmar is home to the third largest population of Baptist Christians worldwide. 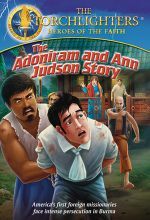 The Judsons’ Burmese translation of the Bible continues to be used in Myanmar to this day. 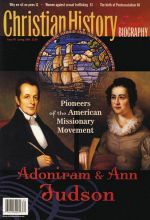 Experience the struggles and triumphs of these remarkable missionaries in this illuminating documentary.